Home » News » Why Should I Buy Contact Lenses From My Optometrist? Recently, the contact lens wearing world has been inundated with advertising promising low prices and convenient “to your door shipping” from online sellers of contact lenses trying to persuade consumers to buy their contacts online rather than the trusted method of ordering through your local eye doctor. Despite sometimes convincing pitches these sites make, there are quite a few arguments in favor of buying from your trusted family optometrist that you give up when buying online because these online stores really can't deliver the same level of service. 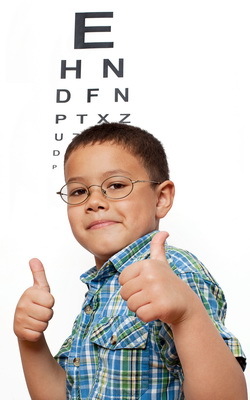 At Eagle Mountain Family Eye Care we offer quality family eye care and comprehensive eye exams. If you were diagnosed with an eye disease, such as Cataracts, Glaucoma, Macular degeneration, Diabetic retinopathy, or Dry eye, you may be overwhelmed by the diagnosis and confused about what happens next. Will you need medications or surgery – now or in the future? Our Fort Worth eye doctor ready to answer your questions about eye disease. appearance of lower prices, the bottom-line often ends up costing you more than ordering from your eye doctor's office would have. Alot of eye doctors can redeem special rebates for their patients, allowing them to reduce costs for you. Online services don't know about these rebates or will ask their customers to redeem these rebates on their own. Many people won't know where or how to redeem these rebates, losing money they would have been able to save by buying in-office. Perhaps the most important difference between buying online and buying in-office comes down your optometrist's role, compared to the online vendor's, and how each views you. Your eye doctor's role is primarily to assist you to see your best and to help you safeguard your overall eye health and visual comfort, most comfortable and convenient way possible. A major part of fulfilling this role is getting to know each and every patient individually with a personal connection in a way that encourages an ongoing dialogue about the patient's needs and long term visual health. In contrast, you are unlikely to have any personal relationship at all with the unknown customer service representative at an online contact lens retailer, and said customer service rep is most likely not trained to understand your vital visual health needs as they relate to your contact lenses. Your eye doctor maintains a relationship focusing on your overall visual health, while an online contact lens retailer maintains a relationship centered around your wallet and knows next to nothing about your overall eye health. Eye infection or dry eyes that result from your contact lenses can most likely be addressed successfully by speaking to a professional, trained and educated eye doctor with whom you have a personal relationship, rather than by speaking to a customer service agent whom you have never, and likely will never meet, and who is there exclusively to fill orders. For a precise diagnosis of eye disease and advanced treatments, contact our Fort Worth eye doctor at Eagle Mountain Family Eye Care. Conveniently located at 5832 Boat Club Road, we make it easy for you to reach a first-rate eye doctor, to help as many patients as possible, we also serve [surrounds].